Wojciech KUBICA was born in Cracow in 1980. He began to study piano at the age of 8 in the State Primary Music School in Goleniów in the class of Magdalena Kochan. In 1999 he graduated from the State High School of Music in Szczecin in the class of Mikołaj Szczęsny. 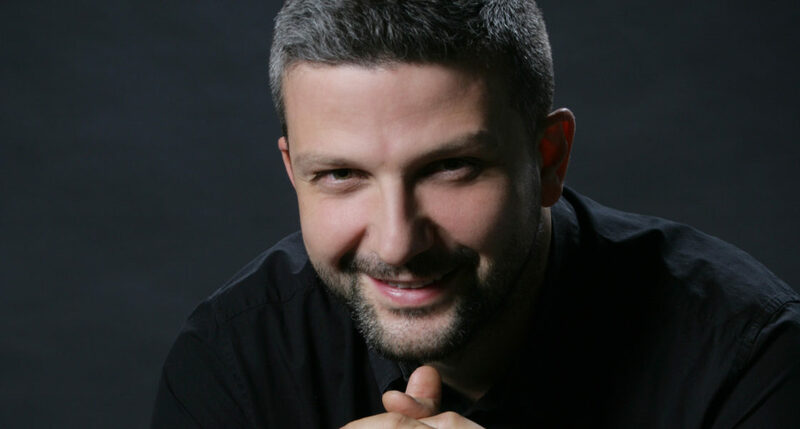 In 2004 he became a graduate of the Karol Szymanowski Academy of Music in the class of Prof. Joanna Domańska. In 2005 he graduated with excellent grade from the Master Postgraduate Studies in the class of Prof. Grzegorz Kurzyński at the Karol Lipiński Academy of Music in Wrocław. He experienced his first performance with the orchestra at the age of 12. As a soloist and chamber musician, he has given concerts in entire Poland (e.g., Wrocław, Szczecin, Wałbrzych, Łódź,Lublin, Olsztyn, Płock, Łomża, Poznań, Cracow, Warsaw, Zakopane) and abroad (Belarus, Belgium, China, Germany, Italy, Jordan, Russia, Spain, Ukraine). special prize for the performance of César Franck’s sonata at the Val Tidone International Chamber Music Competition in Italy (2004) and the 2nd prize at the Grażyna and Kiejstut Bacewicz International Chamber Music Competition in Łódź (2013). In September 2004 he performed at the Youth Stage of the Polish Piano Festival in Słupsk. In 2005 he participated in the eliminations to the 15th International Chopin Piano Competition in Warsaw. In 2007, at the Dezyderiusz Danczowski Polish Cello Competition, he received a diploma for pianist for a particular contribution to the artistic value of the competition performances. He has also received similar distinctions at subsequent cello competitions. Since 2008, Wojciech Kubica has also been working as a pianist-chamber musician with the Summer Academy of Music in Żagań and the Music Masterclass in Szamotuły and the Krzysztof Penderecki European Centre for Music in Lusławice, working with, e.g., Arto Noras, Michael Flaksman or Markus Nyikos. He has polished his skills under the direction of such professors as: Karl-Heinz Kämmerling, Kevin Kenner, Vladimir Krainev or Vladimir Viardo. Wojciech Kubica’s rich repertoire includes pieces ranging from Baroque to the contemporary music. In 2003, during his recital in Atma at the Karol Szymanowski Festival in Zakopane, he premiered Kyrie by Jan Wincenty Hawel. In 2005–2007 he worked with the Karol Szymanowski Academy of Music in Katowice; since 2005 he has been employed at the Academy of Music in Wrocław and since 2008 he has been assistant in the piano class of Prof. Cezary Sanecki at the Grażyna and Kiejstut Bacewicz Academy of Music in Łódź. In 2014, he received the title of Doctor of Arts of the Academy of Music in Łódź, where he is an active pedagogue, cooperating with the piano class of Prof. Cezary Sanecki.